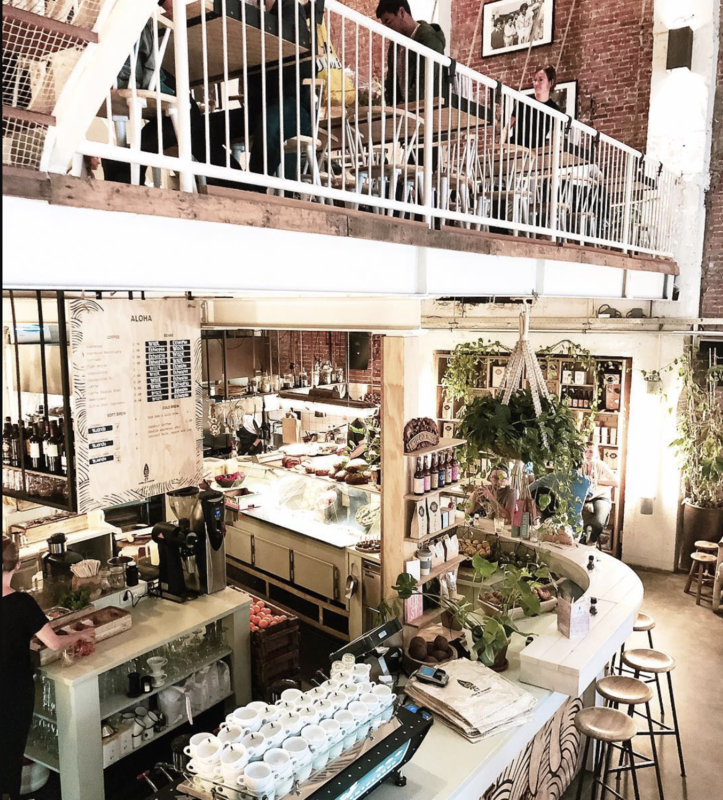 One of the most unusual coffeeshops you'll ever see: and old cinema transformed into a 3-level restaurant and coffeeshop. Great variety of drinks and plates. Breakfast menu till 1 p.m. offering eggs (9), toasts, bowls (12-15), juices, granola, muesli and the must-try coconut pancakes (8.5). Lunch plates from 11 a.m. till 4 p.m and dinner + cocktails all the way through 11 p.m.